The Washington State Liquor and Cannabis Board has approved a policy limiting the colors and shapes edibles makers can use in hopes of avoiding candies that are too appealing to children. State regulators have walked back a plan to crack down on certain cannabis-infused candies, instead issuing specific color and shape guidelines they say will prevent candies from being overly enticing to children. The board Wednesday finalized a policy that limits the colors and shapes that makers of cannabis edibles can use but stops short of banning any candies outright. Members of the Washington CannaBusiness Association are “very pleased with the results,” the trade group’s Executive Director Vicki Christophersen told reporters in a recent conference call. 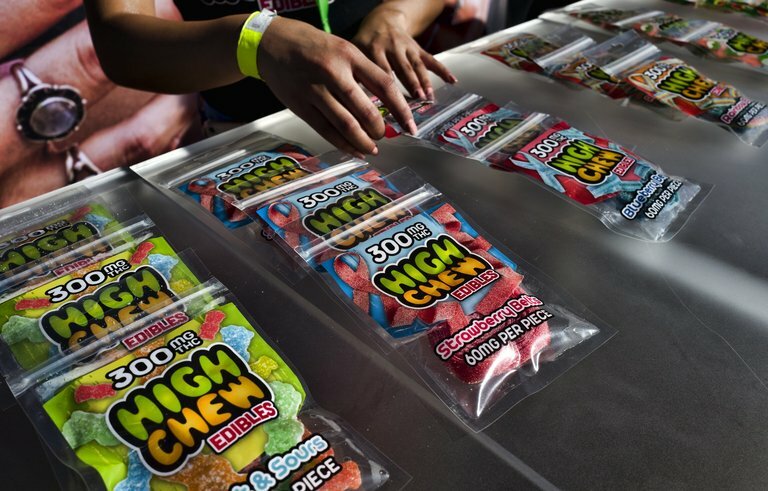 WSLCB representatives say the new guidelines are meant to keep off the market pot-infused candies that look too similar to brightly colored commercial candies marketed to kids. The agency will provide a list of approved colors and shapes, and labels will be limited to three accent colors from the approved color list. Cannabis candies that are too brightly colored will need to be “dulled,” according to the agency. While the policy doesn’t include an all-out ban on fruit chews or hard candies, some products like cotton candy are “just geared toward children,” Reid said. “If you submitted white cotton candy, there is still a chance it’s especially appealing to children” and would not be approved. The WSLCB plans to have the color list and other materials online by January, Reid said. Edibles makers will have to resubmit their products for approval by January 2020. Hoffman’s Pioneer Squares are made with a fruit-flavored base and candied pieces of fruit. The candies now make up about 84 percent of her business, she said, so the board’s initial announcement made her worry her entire enterprise could be in danger. Over the next year, Hoffman plans to change her packaging to comply and may have to adjust her recipe. Because the chews use real fruit, like lemons and oranges, she said she’s not sure whether they’ll be too bright. If so, she’ll have to tweak her recipe to tone down the color. Figuring out just how to do that will take some “R&D in house,” she said.